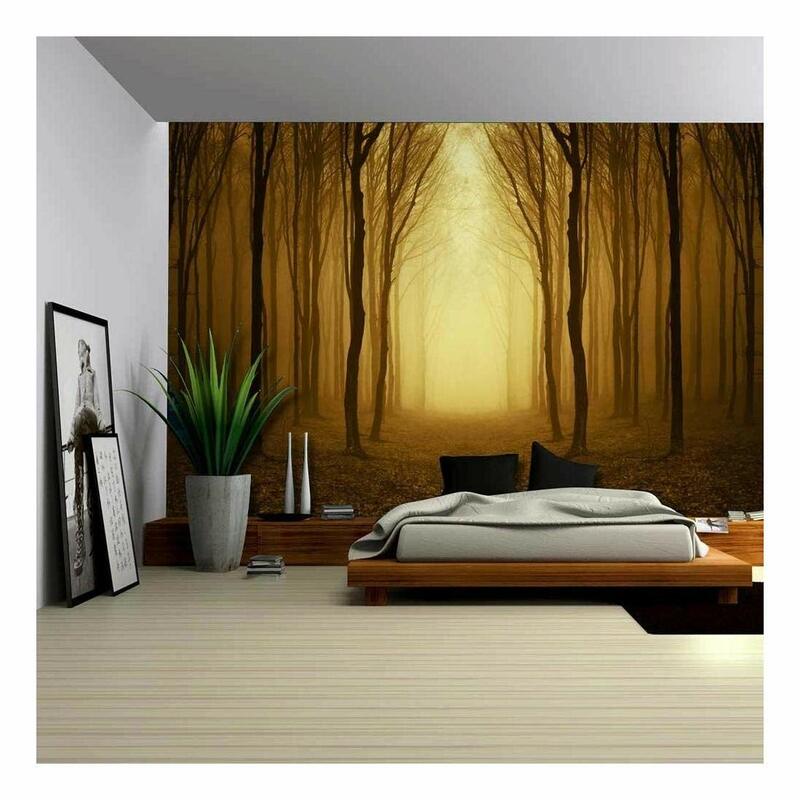 Beautiful mural that adds a warmth to the room. I was able to apply the mural to my wall yesterday and I must say it is stunning. Although the task can look daunting, the mural was not difficult to put up. Just follow the directions! Love it. This is my first time installing something like this and it was easy enough and the end result is awesome. Might buy more for living room and guest rooms but we will see. Thank you so much. The mural is pretty true to picture as long as you realize it is $99. There are murals that cost up to $500, but for an apartment it is very nice. Get help! There is measuring, cutting, you will need help. This looks really cool in my living room! Really good quality of the image recommend it!! Excellent product! Great quality and good landscape picture quality. Saved me so much time from removing horrible vintage wallpaper. Like a giant sticker and you can pull it back up and readjust it no issues. great instructions with the mural. would definitely order again! Looks great and lined up nice. Panels were 24 1/2 wide. Starting on left I took a level and drew a vertical line 24 3/4 from side wall. I lined top of first panel with ceiling and left side of panel with side wall. I made the vertical line 1/4 inch wider then panel so I could see it while making sure it was level. I used 4 pieces of blue painters tape to hold panel where I wanted it. 2 on each side 15 inches from top then 30 inches from top. I then folded back around 5 inches of backing paper at top and made a sharp crease. I then took a 7 inch wide knockdown knife (Its like a rubberized drywall knife) and starting in middle of panel at 15 inch painters tape firmly ran it up to ceiling then to sides. Removed painters tape (you can reuse same pieces) then worked my way down the middle stopping around every 12 inches then work the middle to the sides. Repeat till you get to bottom and trim bottom with exacto knife at base molding. Take your next panel put it up to the ceiling and line it up with first panel. Tape it up with your blue painters tape and repeat same as first panel. Hope this helps someone. I included pictures of tools I used.